Earlier, when a cPanel hosting account or email is compromised and sending out spam emails, the system administrator or reseller are forced to suspended the entire hosting account instead of the affected email user. 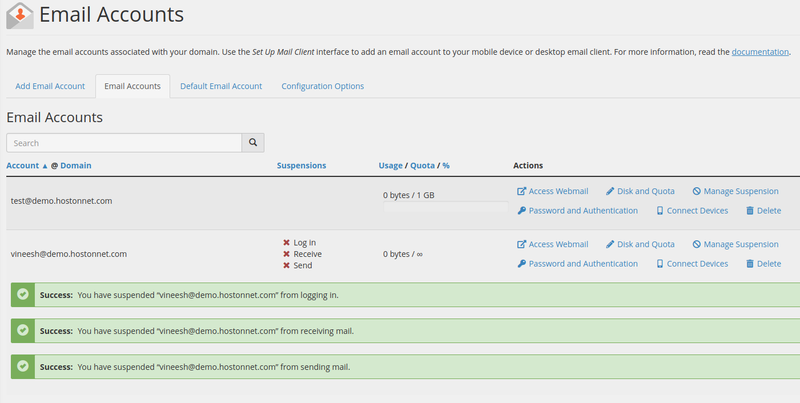 But now cPanel provides us an option to suspend and unsuspend email accounts. If an email user account is suspended, the use won’t be able to login and access to a mail account, and it rejects any incoming mail to the suspended email account. 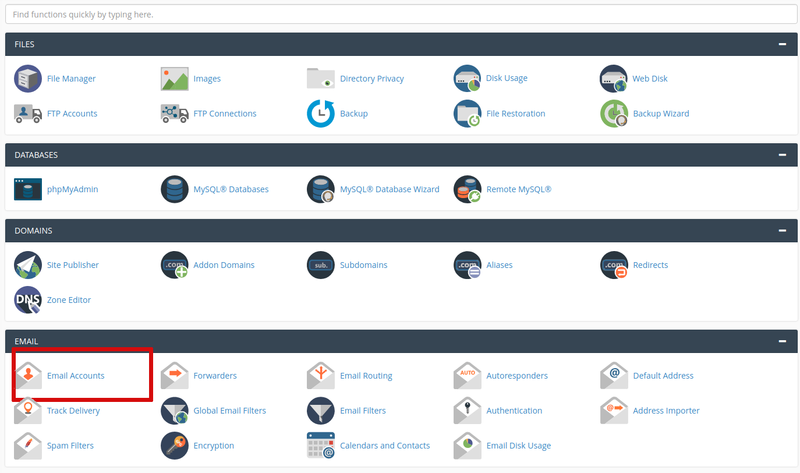 Login to your cPanel Control Panel and click on ‘Email Accounts‘ menu. Next page, you will see the list of Email Accounts you’ve created. Look for the email account you want to suspend and click on ‘Manage Suspension‘ link. Next, select the options ‘Login’, ‘Receive’ and ‘Send’ then click on ‘Save’ button.